Opinion: NZ has strong consumer laws which are fine in theory – but what can you do if a supplier refuses to comply with the law? Associate Profossor Alex Sims explains the options. New Zealand has some strong consumer laws. 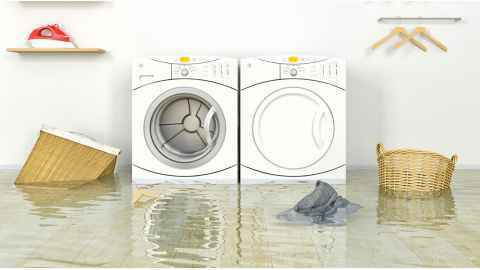 If a washing machine you bought new stops working after 14 months of normal use, under the Consumer Guarantees Act you are entitled to get the business you purchased it from – the ‘supplier’ – to fix it. If it cannot be fixed, you can ask the supplier to refund the purchase price. It is irrelevant if the washing machine’s warranty ran out after 12 months, and the supplier cannot fob you off by saying you have to contact the manufacturer to get it fixed. Of course, laws are fine in theory, but what happens if the supplier refuses to follow the law? For example, if the supplier insists you have to contact the manufacturer to get it fixed. Going to the courts is very expensive and certainly not worth it for a broken washing machine. In such a situation, the Disputes Tribunal is your best bet. You have to pay to use the Disputes Tribunal, but fortunately costs are relatively low and lawyers are not permitted to represent either side. The fees are $45 if claiming under $2000; $90 if claiming between $2,000 and $5,000; and $180 if claiming $5,000 or more. The maximum claim is $15,000 although, if both parties agree, it can be raised to $20,000. You usually need to attend the Disputes Tribunal hearing in person. However, if you are successful but the supplier does not pay what the Disputes Tribunal orders, there will be additional costs because you will need to go through the District Court to enforce the order. So the best way to protect yourself is to avoid purchasing goods and services from suppliers who do not follow the law. Unfortunately, it is difficult to know which suppliers are flouting the law. The Disputes Tribunal hears thousands of disputes each year, but only a handful of decisions are published, and suppliers’ names are not provided. This lack of transparency and the paucity of published decisions is concerning: it is detrimental to both consumers and suppliers who do comply with the law. One reason for the lack of consumer protection could be that the Disputes Tribunal is under the auspices of the Ministry of Justice, whereas consumer protection is under the Ministry of Business, Innovation and Employment (MBIE). Fortunately, consumers do not always need to resort to the Disputes Tribunal to settle their disputes. Depending on the goods and services, there are other bodies that will hear disputes, often free of charge. The problem is, most consumers are unaware of these alternative dispute resolution schemes. Depending on the goods and services, there are other bodies that will hear disputes, often free of charge. The problem is, most consumers are unaware of these alternative dispute resolution schemes. For example, if you purchase a mobile phone from one of the big telecommunication companies such as Spark, Vodafone or 2degrees you can go to the TDR (Telecommunications Dispute Resolution Scheme) if there is a problem with the phone, or you have other disputes such as being overcharged on your account. The TDR process is free for both consumers and small businesses and the telecommunication company is required to follow the TDR’s orders. If, however, you buy a mobile phone through a business that is not a member of the TDR you will have to use the Disputes Tribunal. There are many other free dispute resolution schemes. If you have a dispute with your electricity, gas or water company there is Utilities Disputes. For insurance disputes there is the Insurance & Financial Services Ombudsman. Complaints with banks can made to the Banking Ombudsman. Financial service providers including financial advisers and even cryptocurrency exchanges are required to be members of dispute resolution schemes, you can check which one your financial service provider belongs to at https://fsp-register.companiesoffice.govt.nz/. There is even a process for complaining about retirement homes. Rest homes too have a process if you are unhappy about the level of care. There are numerous other dispute resolution schemes and/or bodies that can investigate disputes: a useful website to look as it is http://www.complaintline.org.nz/. As a postscript: New Zealand has a law against unfair contract terms. An example of an unfair contract is one that allows a business to vary any of its terms at any stage. Say you sign up to a high speed internet plan for $100 for 12 months and one month later the price is increased to $150 per month. The term, however, can be made fair by another term allowing you to cancel the contract after a price rise without being stung with charges for doing so. Unfortunately, the law against unfair contract terms is almost pointless in New Zealand. It is difficult to find a contract that does not contain at least one unfair contract term. Worse, as a consumer you cannot prevent a business from enforcing unfair contract terms against you. Bizarrely, only the Commerce Commission can challenge a term as being unfair. Therefore, if your internet service provider increases the price of your internet plan during a fixed term contract and refuses to allow you to cancel the contract without incurring additional costs, you have very little choice. You must pay the termination fee or the increased price unless you can convince the Commerce Commission to challenge the term in court, or you can show that the termination fee is a penalty – neither of which are likely. In Australia consumers and small businesses can challenge unfair contract terms in the courts and the Australian equivalent of the Disputes Tribunal. We would do well to bring our unfair contract terms law in line with Australia’s. It would help also if dispute resolution schemes required scheme members to have contracts free of unfair contract terms and other terms that breach consumer laws. Alex Sims is an Associate Professor in the Department of Commercial Law at the Faculty of Business and Economics. This article reflects the opinion of the author and not the views of the University of Auckland. Used with permission from Newsroom How to protect yourself as a consumer published on 14 March 2019.